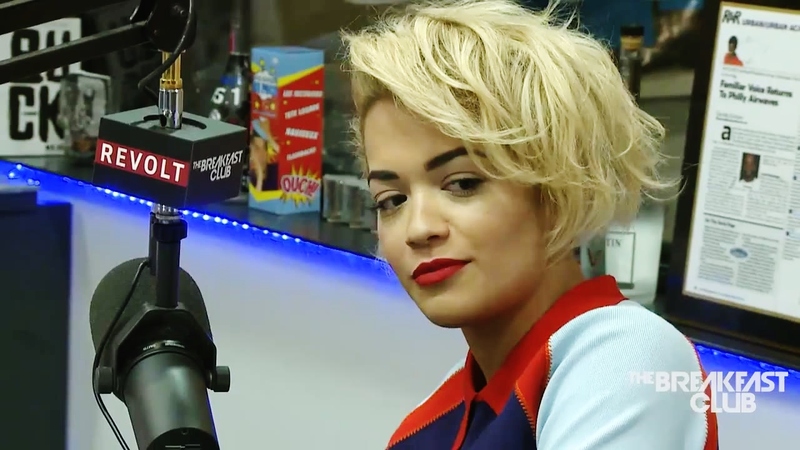 British singer-songwriter and actress, Rita Ora stopped by “The World’s Most Dangerous Morning Show”, The Breakfast Club. At the present moment, she’s currently filming popular romantic drama film, Fifty Shades of Grey, co-starring Dakota Johnson, Jamie Dornan, Eloise Mumford and Luke Grimes. She would open the interview with discussing her recent departure from Roc Nation after being signed to the label since she was 17-year-old (now 23), and how JAY Z helped her career in its early stages. Along with discussing her dating history of Calvin Harris currently, Bruno Mars and Rob Kardashian that was nicely segued; she discussed her upcoming sophomore album. In comparison to her debut opus Ora in 2012, she went to reveal the new project is allowing fans to know her. Continue after the jump to learn more on her upcoming LP, tour and film.